revolt set in a post-apocalyptic version of Neo-Tokyo. The story focuses on Kaneda and Tetsuo, two bōsōzoku gang members known as the Capsules and led by Kaneda. Until Tetsuo is cursed with uncontrollable powers and develops powerful psychic abilities which manifest as expressions of his crippling self-loathing and jealously. 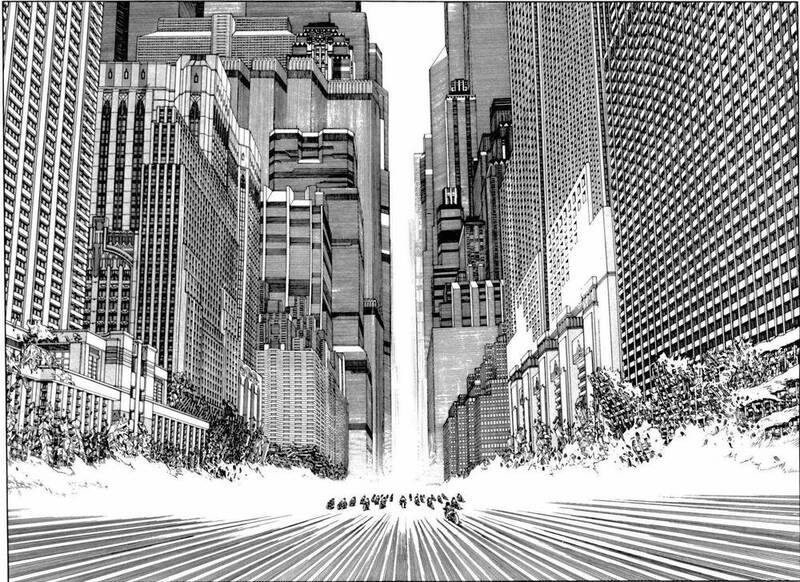 Otomo’s drawings of Neo-Tokyo’s dystopian architecture is mostly based on Brutalism, a architectural movement descended from modernist architecture of the early 20th century. It created an image that communicated strength and used concrete for its raw and unpretentious honesty and with these elements it completed the atmosphere of the environment. 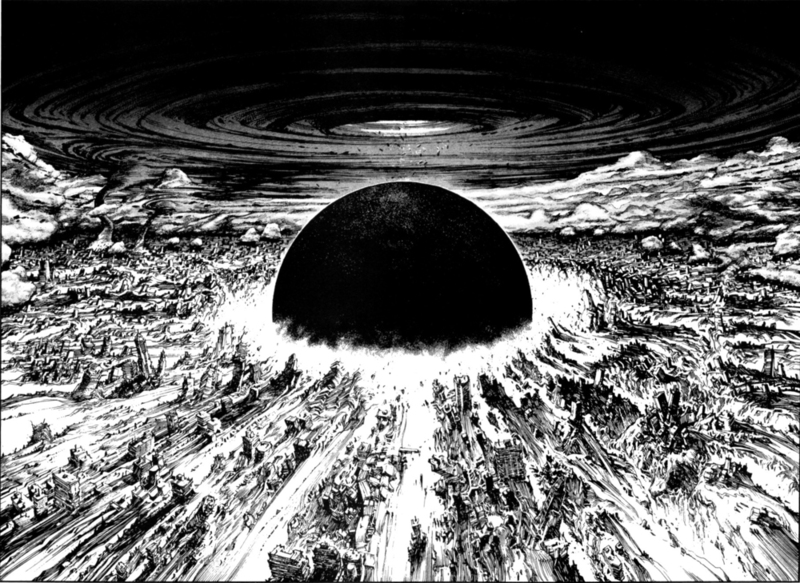 Otomo explores nihilism, corruption and violence in Akira. The series tells the narrative of a conflicted, corrupt and desperate city borne out of a fictional catastrophic event. This recalls the real-life bombings of Hiroshima and Nagasaki, and the Japanese people’s struggle to redefine their nation in the post-war era. Similar to his work Akira and before he became internationally famous, he also created the series named Domu : A Child’s Dream. The story is about an old man and a child possessing extrasensory powers. The main theme that crosses Domu is the child’s mind. Where the little girl named Etsuko is too mature for her age. The main inspiration that led to the creation of Domu is the first apartment complex Otomo lived in when he moved to Tokyo and partly a news report about a rash of suicides in a different apartment complex.